It’s time to place your bets. There’s a big reason why the Super Bowl is almost always the most watched program on television. Last year’s epic clash between the Atlanta Falcons and New England Patriots drew in a total audience of roughly 172 million viewers. This Sunday in the 2018 Super Bowl, the Philadelphia Eagles will take on the New England Patriots at U.S. Bank Stadium in Minneapolis. And once again, thousands – if not millions – of people across the country will be making wagers on a wide variety of topics. 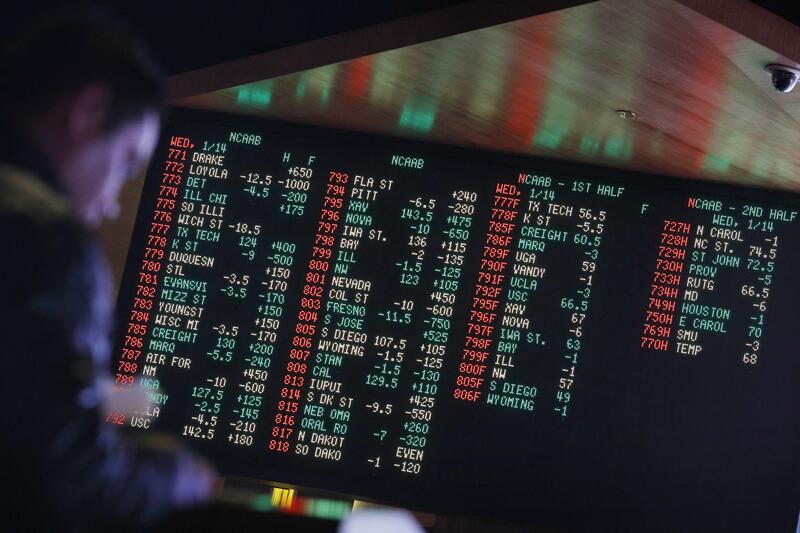 Whether you’ve created your own bets, or are relying on the oddsmakers out in Las Vegas, the Super Bowl has more betting interest, options and odds than any other sporting event on the calendar. Using a number of different betting outlets and sites across the internet, here are 10 of the most interesting bets Vegas has on the board for this year’s game, in no particular order. 1. The game’s actual point spread: Philadelphia Eagles vs. New England Patriots (-4.5). It’s probably the most common bet out there. New England was a 6.5-point favorite last week, but that number has since fallen thanks to a high volume of action on Philadelphia over the course of the past two weeks. 2. Which owner will be shown first? Patriots owner Robert Kraft is listed at -130, while Eagles owner Jeffrey Lurie is listed at -110. The Patriots have played so many games in primetime this century, including seven Super Bowls. The team’s success coupled with Kraft’s standing in the ownership hierarchy makes him the favorite in this one. 3. Will players kneel for the national anthem? There will be over 100 players on the sidelines between the two teams. “Yes” is the underdog at +250 with “no” being the favorite at -450. Since the early part of the season, the Patriots have virtually ignored the issue. So, if it’s going to happen, it’s going to be player on the Eagles’side, such as defensive back Malcolm Jenkins. 4. How many times President Trump will tweet on the day of the game? Over five pays out -140. Under five is even money. Five is a big number, and the commander-in-chief is usually a reactionary commentator when it comes to the NFL. Then again, if the Sunday talk shows are flooding televisions with #ReleaseTheMemo coverage, or players do take a knee during the anthem, there could be a Twitter explosion from Trump. 5. What song will Justin Timberlake sing first during the halftime performance? Throw out the odds on this one, because it’s a heavily guarded secret. Chatter around the interweb suggests “Can’t Stop the Feeling!” (+350) is the favorite. “SexyBack” feels over hyped at +450 given its risque nature. “Filthy” (+250) feels like a dark horse since the song is the premier track on Timberlake’s new album. 6. What color Gatorade will be used for the coach shower? This is the one bet that might be the most heavily scrutinized because of all the ways it’s possible to execute some sort of inside job. For whatever reason, water/clear is the most predicted outcome at +200. 7. What color will Pink’s hair be when she sings the national anthem? Sticking with the color theme, this one is pretty tough to predict. White/Blonde is currently the favorite at 5-to-4. 8. Which number will be higher: the number of total points scored in the first quarter (2-to-3) or the temperature outside at kickoff in Minneapolis (11-to-10)? As of Friday morning, the predicted outdoor temperature in Minneapolis at kickoff time is somewhere between 3 and 6 degrees, which obviously makes that the underdog. However, the Patriots are notorious for their slow starts in Super Bowls under Bill Belichick. 9.Over/under the number of times the Super Bowl XVIII “wardrobe malfunction” is mentioned during the broadcast? The over/under is 1.5. The topic is unavoidable with Timberlake performing at the half. But NBC might not want discussion of the incident on its airwaves. It’s also worth mentioning that this bet excludes banter about the issue during halftime. 10. Will Tom Brady’s jersey be stolen again? The fact that this is even on the board (10-to-1) is a bit of a shock. After his jersey was stolen following last year’s Super Bowl, there was actually a federal investigation. Published: Feb. 3, 2018, 10:55 a.m. Updated: Feb. 3, 2018, 3:24 p.m.